Is This The Final Chapter For World's Iconic Bookshops? From Madrid to Cork to Shanghai, some of the most revered old bookshops are closing doors as they face pressure from big chains and e-readers. But our bookworm writer found some small signs of hope. PARIS — A week or so before Christmas, I decided to take advantage of a quick in-and-out visit to Paris to visit one of the city's most iconic expat establishments: The Shakespeare and Company bookstore in the Latin Quarter. A stormy night had just fallen and the temps weren't too far above freezing as I trudged across the Seine, through wind and rain, to where I expected to find the famous English-language gathering spot. But when I got there, the bookshop — famous among other things for cameos in films like Before Sunset (2004) and Woody Allen's Midnight in Paris (2011) — was nowhere to be found. That's when it occurred to me that the venerable old locale had perhaps closed down. "Noooo," I lamented. "Say it ain't so." But yes, surely I read something to that effect, I thought. Or did I? Befuddled and very cold, I ducked under an awning and, with numb fingers, fumbled around in my pocket for my phone. A homeless man glanced at me sideways as I punched the words "Shakespeare and Company" onto the wet screen and then … Yes, there it was, about a block east of my current location, according to Google Maps. Duh. Slinking back into the rain, my collar turned up, I ventured on and, within a few minutes, found myself at last in front of the bookshop — along with about 20 other people waiting in line for a chance to enter. Too wet and chilled to wait (the other would-be customers had umbrellas), I aborted my mission and headed back across the river to the warmth and shelter of the Châtelet metro station, but with the satisfaction that all was right again with the world. Yes, I thought, at least in this one important case, Amazon, digital reader devices, big-box retailers like Barnes & Noble and all the other shifting currents of our modern world didn't conspire to kill yet another classic bookshop. But maybe it's just a matter of time, as Spain's El País reminded me this week. In the historic center of Madrid, I was sad to discover, one of the city's oldest and most beloved bookshops — Nicolás Moya Librería Médica — will soon be shutting its doors after more than 150 years. Established in 1862 and located just a few meters from the Puerta del Sol, the family-owned store specializes in books on medicine, agriculture, veterinary sciences, and navigation. Its founder, Nicolás Moya (born in 1838) wasn't even an adult yet when he first began selling medical texts to students at a nearby training school for surgeons. Later the shop would become a favorite haunt for a number of well-known doctors, including Nobel Prize-winner Santiago Ramón y Cajal (1852-1934), with whom Moya became friends. But all these years later, the Moya family now says they can no longer make ends meet. "And all that for what? So they can put in a Zara, a McDonald's, or one of these other establishments that eat everything up," Salvador García, a neighbor, told El País. "It's so sad. I've bought a ton of books here since I was a student." Sadly, the demise of the Nicolás Moya shop is part of a well-documented and globe-spanning trend, as independent booksellers across the globe struggle to compete with online retailers and large chains. 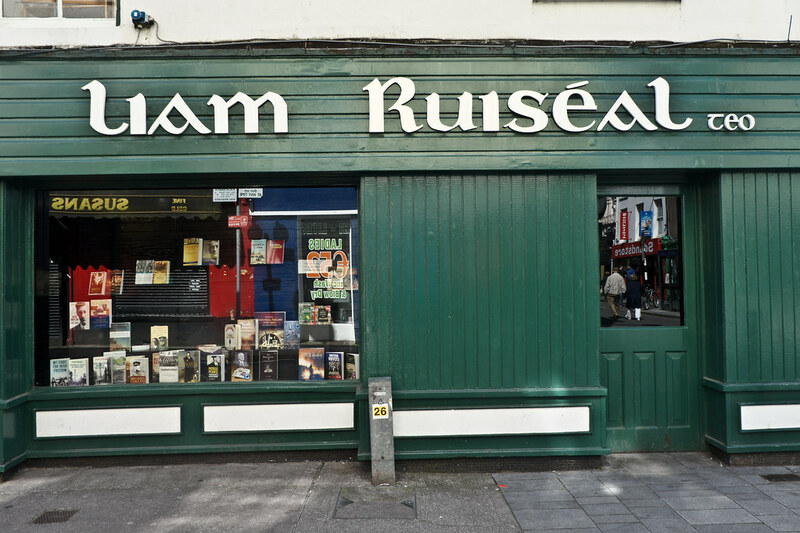 Just over two years ago, a beloved bookshop in Cork City, Ireland — Liam Ruiséal's — celebrated its centennial. A year after that, however, the Ruiséal family announced that they would be closing their doors, the Irish Examiner reported. "The recent economic downturn was also a contributing factor," according to a statement by the family. "As a family business, with over 100 years' history in Cork City, it was a difficult and emotional decision for us." On the other side of the planet, the Tilley family in Launceston, Tasmania, made a similarly "heartbreaking" decision in early 2017 when they decided to shutter the more than 170-year-old Birchalls, Australia's longest surviving bookshop, according to the local paper The Examiner. And exactly one year later, the "best-known liberal" bookshop in Shanghai, the Jifeng Bookstore, announced that it, too, would be closing its doors, albeit due to political rather than economic pressures, the South China Morning Post reported last year. The authorities are more concerned about political stability. "Jifeng's impending closure was in line with a series of moves by the Chinese authorities to tighten ideological control," a source told the Hong Kong-based, English-language newspaper. "The authorities are more concerned about political stability," he said. "They don't want to see freer social or cultural events." More recently still, the last surviving used bookstore in New York City's Upper West Side, Westsider Books, gave word that it would also soon close, much to the chagrin of neighbors and employees. "It's a big surprise," shop worker David told the West Side Rag in early January. "Though on the other hand, I'm not surprised. Everyone's having trouble, even Barnes & Noble." David is right — if that's any solace: Big chain booksellers like Barnes & Noble, which contributed to so many independent shops going belly up (at least in the United States), are also "floundering" these days, the New York Times reported last year. Earlier in the decade, one of Barnes & Noble's biggest competitors, Border's Books, officially went bust. But taking things back to the Upper West Side: Here, I'm happy to say, is a bit of good news to report. Like my confusion over the fate of Shakespeare and Company in Paris, it turns out that there's a twist to the story of Westsider Books (which, coincidentally, had its own Woody-Allen-film cameo — in Fading Gigolo, 2013). Thanks to a last-minute fundraising campaign that reached the do-or-die goal of $50,000, the neighborhood fixture will be staying put. It's "the ultimate comeback story," the West Side Rag reported. How's that for poetic justice?